« Cupcake Key Caps Are Delicious! Preheat the oven to 350 degrees. Mix all the dry ingredients together in a bowl. Then stir in the wet ingredients. Spread evenly on a baking sheet and bake for about 30-40 minutes, stirring constantly until brown. Let cool and there you have it! 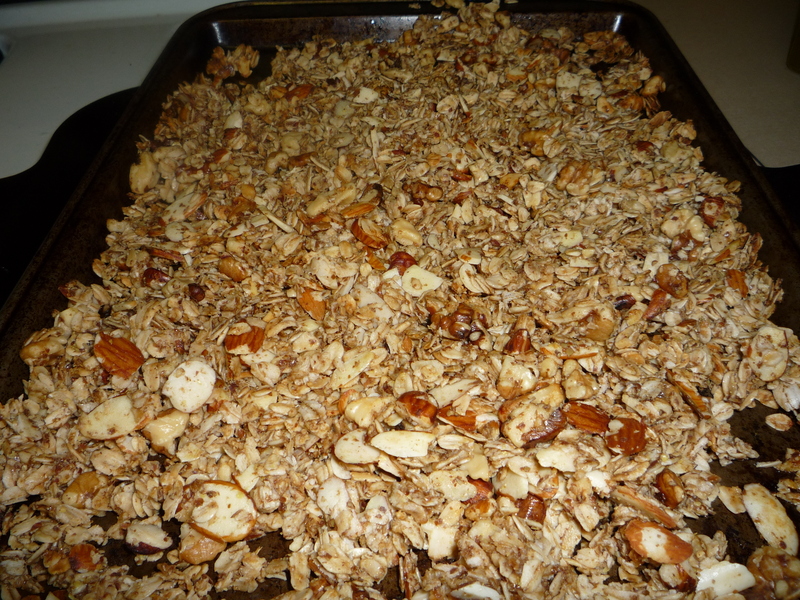 Fresh homemade granola! If you’ve made a variation of this or another type of granola, let me know in the comments! This entry was posted on	May 3, 2010 at 11:33 pm	and is filed under food.